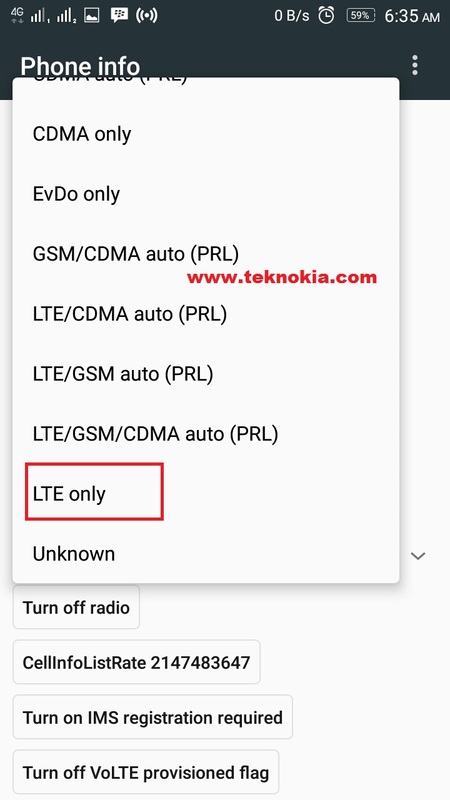 Teknokia.com - Many smartphone vendors were hide the feature to lock 4G Only or LTE Only network at the default setting. As well as the smartphone manufacturer by Xiaomi. 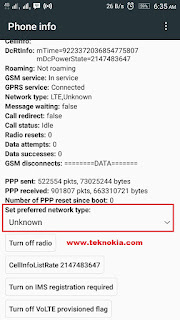 The reasons were the most users may not to understand this feature due to the coverage area of 4G signal from their provider was not yet widely as signal GSM or WCDMA. And also the sms and call features will be not work if we set up LTE Only. The Features 4G only required when a 4G signal is weaker than the signal WCDMA or GSM. So that the internet connection will remain stable. 2. Run the application. Select the Menu "Android settings"
3. Then will appear the "Phone Information 1" it’s for SIM 1, "Phone Information 2" it’s for SIM 2. 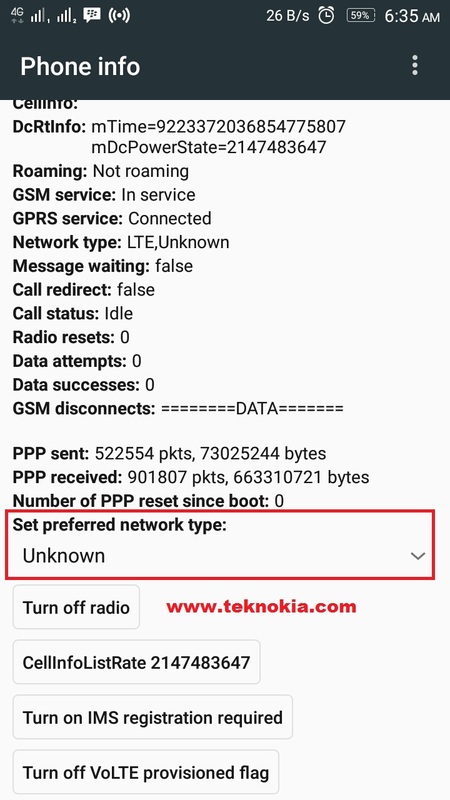 Select SIM of Phone Information that used for internet data. 4. Then in the "SET Preferred Network Type". 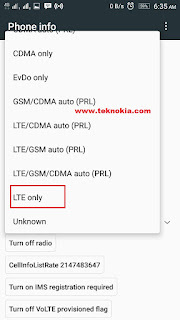 Choose LTE only for 4G, WCDMA only for 3G, WCDMA/LTE for 4G /3G Dual network. 5. Please wait for a while; because it is looking for the network signal. Done. 6. To return back, you can click standard settings through LTE priority network. If you are using the above way choose LTE/WCDMA/GSM/Auto.